Duct Cleaning – Fully Completely Inc. Fully Completely Inc. cares for your air! Our air duct cleaning, dryer vent cleaning and air duct sanitation services may be the healthiest improvements you ever make to your home or office. Breathe easier and dust less! Fully Completely Inc. employs a professional duct cleaning staff that will do a superior job cleaning your ducts. With over 15 years of experience the Fully Completely Inc. Duct cleaning team guarantee their work. With our video inspection system, we can show you before and after (who else can say that!!!). We use the very best Portable Power Vacuum (PPV) which make it possible for us to perform “within the building”. Source removal duct cleaning in all types of structures from homes to hospitals to commercial high-rises. These HEPA-filtered systems have the power needed to place large sections of an air duct network under negative pressure, pull dislodged contaminants out of the duct system and capture them. Compared to clumsy van or truck-mounted units, our PPV unit offers exceptional flexibility and portability needed to access and clean air handling systems on the first floor or the fifty-first floor. Plus, true HEPA filters with 99.97%-rated efficiency or greater ensure that only “hospital grade” pure air is released back into the building. Having clean ducts will make a dramatic difference in the quality of the air within your home or business. "Fully Completely ROCKS at everything they do!! Friendly customer service with a smile & they always go the extra mile!! FULLY COMPLETELY...SATISFACTION GUARANTEED!! Try them, you'll like them!!" "We had them clean our carpets at home and at work and everyone was so friendly and professional, not to mention they did a great job!!!!" 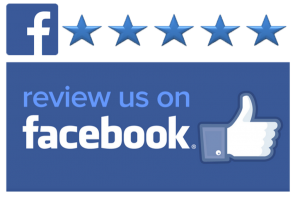 "Very pleased with the service Fully Completely did with our duct cleaning. They were fast, efficient, courteous and professional. I highly recommend them!"